In 800BC, almost 300 years after the Dark Age began, Greek civilisation slowly emerged again. The Greeks started trading more with the outside world, they held the first Olympic Games and they fought off the invading Persian army. This period is known by historians as the Archaic period of Greek history. During this time many of the cities in Greece were ruled by a king-like figure. Around 480BC Greece entered a golden age which lasted for 200 years. The people built fantastic temples, made scientific discoveries, wrote plays and founded the first proper democracy. Historians call this Classical Greece. The final period of Greek history is known as the Hellenistic period. This lasted from 323BC to 30BC, when the Romans took control of Greece. The Romans didn't destroy Greek life, though. They respected the Greeks and copied many things about their culture, including their buildings, beliefs and clothes. 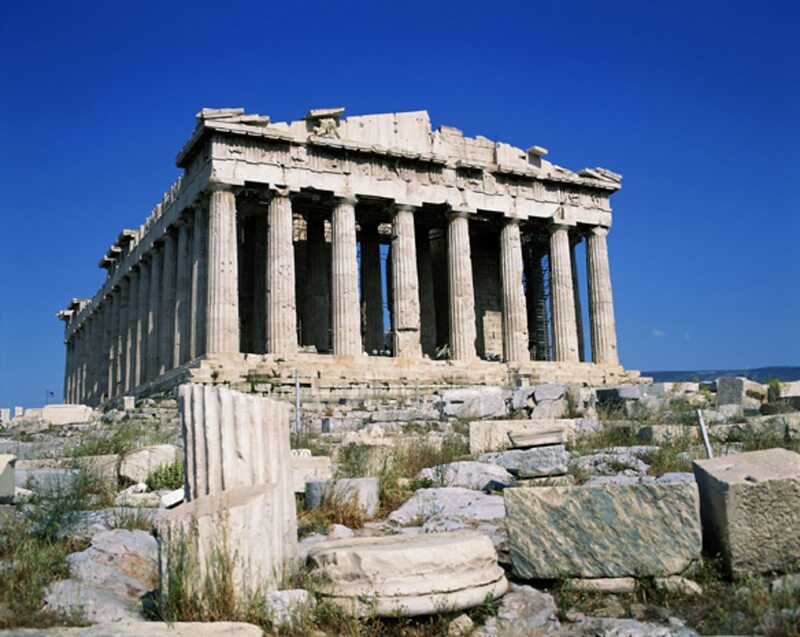 The Parthenon temple was built for the Greek goddess Athena. It sits on top of a hill called the Acropolis and looks out over the city of Athens. There was never one country called ‘ancient Greece’. Instead, Greece was divided up into small city-states, like Athens, Sparta, Corinth and Olympia. Each city-state ruled itself. They had their own governments, laws and army. So, ancient Greeks living in Sparta considered themselves Spartan first, and Greek second. Famously, the city-states didn’t get on very well and often fought each another. However, sometimes they joined together to fight against a bigger enemy, like the Persian Empire. Only a very powerful ruler could control all Greece. One man did in the 300s BC. He was Alexander the Great, from Macedonia. Alexander led his army to conquer an empire that stretched as far as Afghanistan and India.